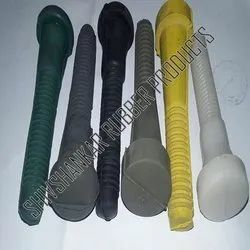 We are a leading Manufacturer of poultry farm transparent tube and chicken plucker rubber fingers from Mumbai, India. Silicone Transparent Tubes are used in Food, Pharma, Chemical, Electrical, Heavy Engineering, Medical, Thermal Power Stations, and PSUs. 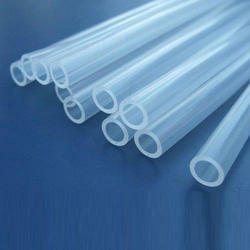 We present silicone transparent tubing which can resist temperatures from -116°C to + 315°C. These Transparent Tubings are made from 100% pure Silicone Rubber. These Tubings are manufactured under strict manufacturing condition facilities. We have supplied this product to all industrial sectors across India. Odourless and can withstand many drugs. It replaces latex and PVC tubes. In Injection and Vial Filling Machines. For transfer of oral ointments, creams etc.